This is such an amazing time in history to homeschool. The internet is full of awesome teaching ideas! In fact it is so full of awesome ideas, that it can be overwhelming sometimes. I love Pinterest, but I often hear moms say that it is like information overload. 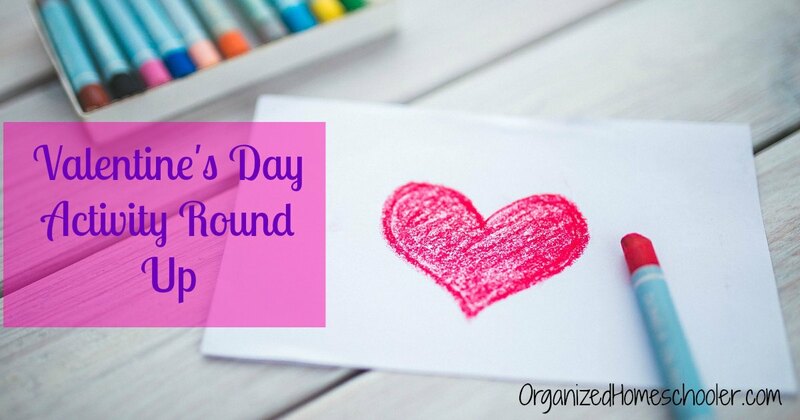 I’m here to help, so I found a few of the best Valentine’s Day educational activities and put them right here in one handy Valentine’s Day round up. All About Learning currently offers a free printable game that features candy hearts – Rhyming with Candy Hearts. Just print out the game pieces and start playing. 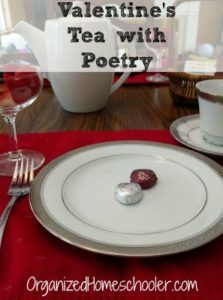 Valentine’s Day writing prompts are a great way to get reluctant writer’s writing. I like to cut up writing prompts and put them in a jar. My kids can choose an idea from the jar whenever they feel stuck. 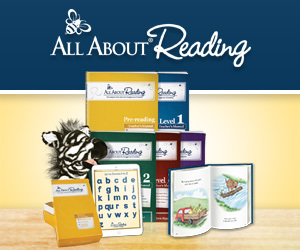 Combining wonderful books with activities made up the majority of my time homeschooling the early years. Even now, at 8 and 11, my kids are always happy to combine books and activities. Valentine Bears by Eve Bunting – The Lit Mama found a bunch of awesome activities related to this classic story written by Eve Bunting and illustrated by Jan Brett. 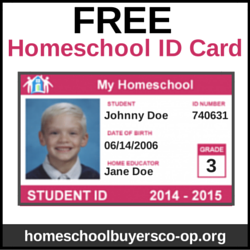 You will find ideas for history, science, math, crafts, and even recipes. Little Bears Valentine by Else Holmelund Minarik – The Lit Mama also put together a variety of activities to accompany this sweet story. Her page features language arts, science, crafts and recipes to stretch the story. I love book lists because they help save me time. If I see a title that I think my kids will enjoy, I can open my library’s website in another tab and quickly reserve it. I don’t have to spend a lot of time searching for books because other parents have done it for me already! Crystal, from It’s Fundamental Children’s Book Blog, made a list of 13 Valentine’s Day books. There are some great books on this list! My favorite is Love From the Very Hungry Caterpillar by Eric Carle. The Homeschool 4 Life Grandma is reading a Valentine’s story each day leading up to Valentine’s Day. Grandma reads the stories on camera so you can join in too. I love the idea of a grandma reading to kids all over the world. S.T.E.M. is all the rage right now in the education world, and for good reason! Most kids enjoy these types of activities so much that they have no idea they are even learning. Many S.T.E.M. lessons are sneaky learning at its finest. 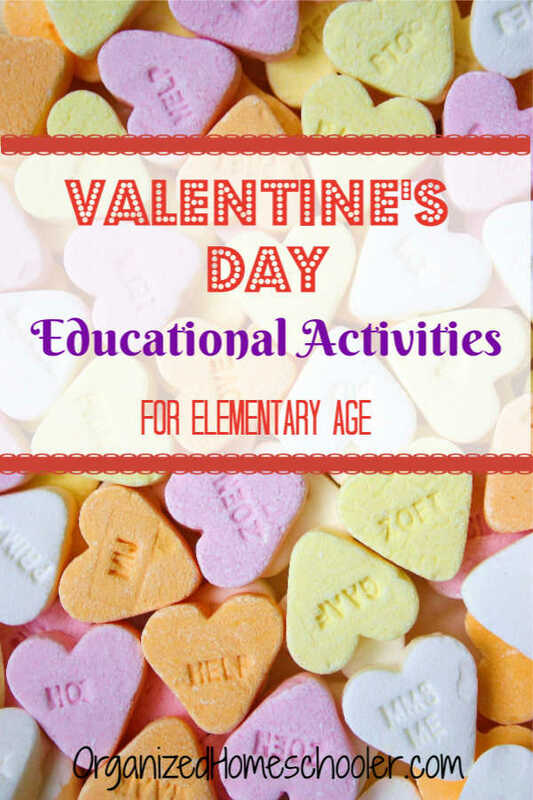 The best Valentine’s Day educational activities are so fun that kids don’t even realize they are learning. Faith Filled Chaos shares her fantastic plan to combine S.T.E.M. and Valentine’s Day. She even has a S.T.E.M. project pack available to download! Chelsey, from Buggy and Buddy, has a fun heart shaped marshmallow activity. Check out her page to see what your kids can build. My kids are always fans of activities with food! They are always engaged if they get to eat their creation at the end of the lesson. 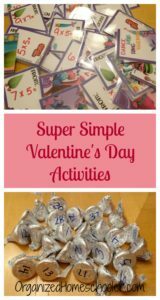 Use simple store bought valentines to create a self-checking math fact center. This works with addition, subtraction, multiplication, and division. Graphing candy hearts is one of the classic Valentine’s Day educational activities that I used in my classroom when I was a public school teacher. Sometimes it can feel difficult to incorporate crafts into the homeschool day. We spend so much time planning lessons, so sometimes things like crafts suffer. A lot of kids really enjoy crafting though, so it is nice to have a few crafts ready to go. 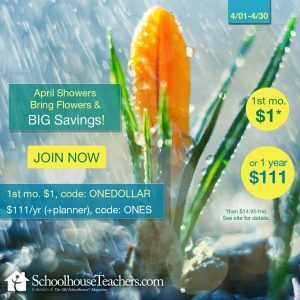 Homeschool 4 Life has a printable calendar with a new activity each day for the first 14 days of February. It is not too late to catch up! She even put together a supply list so you can gather everything at once. I love that level of organization! 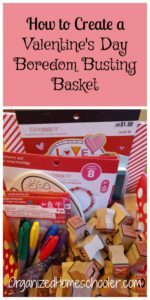 Lori, from 3 Giggly Girls at Home, shares a way to make Valentine’s Day cards using materials you probably already have at home. These would be great to make for friends using their favorite colors. Beth, from 123 Homeschool 4 Me, has concocted something guaranteed to make your kids jump for joy – chocolate play dough! This could add hours of fun to your homeschool. 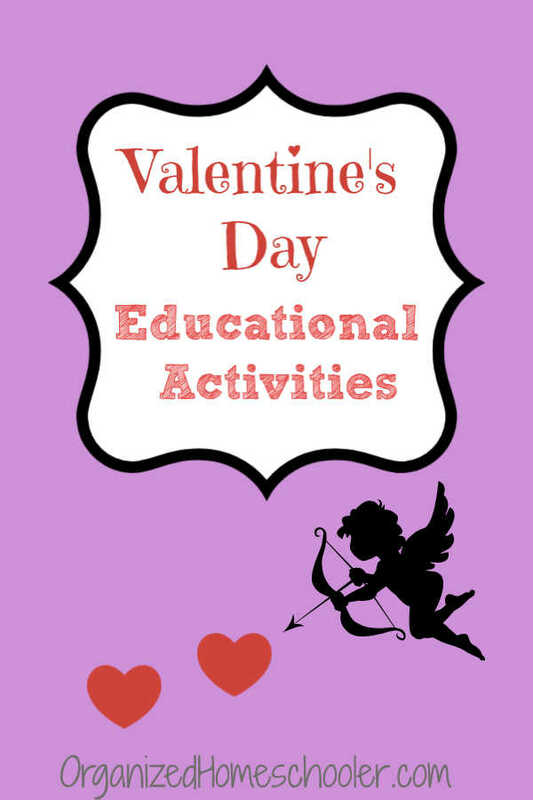 What are your favorite Valentine’s Day educational activities?